The fascination for watching movies or TV series under the open sky in the backyard or open field has always been a fantasy for many people. So to fulfill that purpose the only logical choice is outdoor projector as TVs are limited in size and large size TVs are incredibly costly. Projectors designed primarily for the outdoor purpose are suitable for this job as they can maximize size from 50inches to 300inches. You just have to connect some wires and set up the screen, and you will be ready to host your outdoor entertainment session. However to get the most excellent experience you will require the best outdoor projector in your budget range. However, there is a copious amount of outside projectors who claims to be most exceptional in the market. So for a first time user, it would be quite confusing, so we have created a list of the most elegant outdoor video projectors along with the projector reviews. We have spent huge hours on researching, testing, comparing and reviewing to come up with the top seven names we think will be ideal to fulfill all your requirement. All the models that we have enlisted carry enough brightness, color accuracy, contrast and other amenities to pamper you with the most optimal visual quality possible. So, let indulge ourselves with the names of all the potential best outdoor projectors that we think are finest among every other model in the backyard projector segment. Now, it is time to get into the reviews of all the models mentioned above, and it will give you a proper outline of all the models. We have ranked and categorized them according to their performance chart. 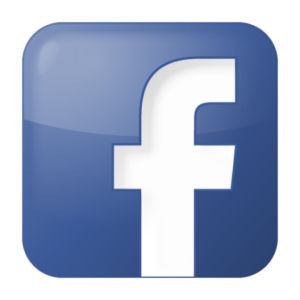 We are representative of any of the brands so you can expect an honest review of all the products. Optoma HD142X is one of the highest selling home theater projectors that work efficiently in both outdoor and indoor situation. 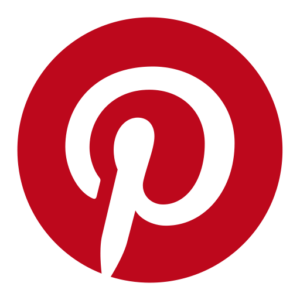 It has numerous positive reviews from an enormous amount of consumers in a various e-commerce site. It offers you all the latest and required features that you will need to host a mesmerizing outdoor movie session. 195-watt lamp with 8000 hours of lamp life. 3000 ANSI lumens of brightness. Projection size between 0.71m and 7.75m. Projection distance between 1m and 10m. 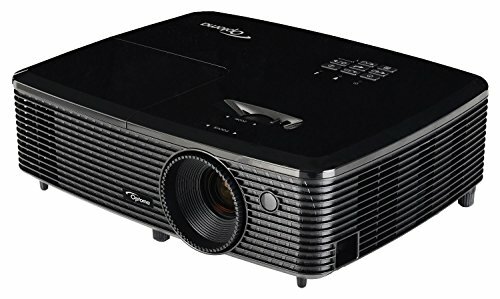 Optoma HD142X is a potent outdoor 1080p HD projector that has grabbed the eyes of many experts with its lustrous visual performance and other functionalities. 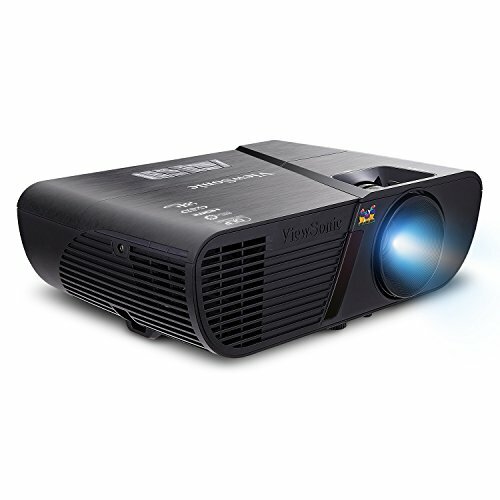 It houses Single 0.65″ DC3 DMD chip DLP projection system along with native 1920 X 1080 Full HD resolution and these splendid blend allows the projector to offer jaw-dropping visuals in outdoor condition. To make every visual bright and lucid, the manufacturer has supplied 3000 lumens and 23,000:1 contrast ratio. The color output you will perceive would just amaze you, and it is due to Reference Display Mode and sRGB that achieves 99% accuracy of REC.709. Optoma HD142X can be depicted as a true open-air model as you can expand the projection size from 28inch to 305inch. The throw distance is also praiseworthy as it is around 1.48 to 1.62:1 thus allowing you to quickly set up the projector without worrying about space. However, you are only going to find 4:3 and 16:9 native aspect ratio with this model which might be an issue for some users. You can even enjoy 3D contents in your outdoor area and that too at 1080p without finding any kind of degradation. For an added experience, you would also have a 10-watt speaker but it won’t great sound output. Optoma has curated HD142X with decent lamp life, and it has the capability to run for five years with daily four hours usage. With this model, you can connect almost all kind of devices, and for this, it’s HDMI, MHL v2.1, 3D Sync, USB, Audio, 12V trigger, etc. The modification options embedded in this model is quite adequate, and you will get +/- 40-degree vertical keystone, manual zoom, and 116% offset. Carrying this model in the outdoor area won’t weigh down on your hand as it only weighs 5.5lbs. Optoma HD142X can be a smart choice for you as it will not serve your need for outdoor entertainment session but also fulfill your requirement for portability. ViewSonic PA503S is critically acclaimed outdoor projector in the US that has found its way into numerous user’s backyard, and there is hardly anyone who is dissatisfied with its performance. It excels in terms of look, design, and durability but its intriguing list of attributes takes all the limelight. Native SVGA resolution with 3600 lumens. 16ms of input latency with 22000:1 contrast ratio. 15000 hours of lamp life. Three years warranty with one-year lamp warranty. You will be flabbergasted with the lifelike color output of ViewSonic PA503S, and all the credit goes to its SuperColor technology which gets a six-segment color wheel with dynamic lamp control. As it is an outdoor model, so ViewSonic has given a massive screen ranging from 30inches to all the way up to 300inches. During the placement, you won’t have to arrange a wide view distance, and it is due to its 1.96-2.15:1 throw ratio range. It even gets a 2-watt speaker, but it renders useless in the outdoor condition as it doesn’t have volume or clarity. ViewSonic PA503S comes with a standard 190-watt lamp, but unlike others, it is blessed with 15000hours of lamp life. The setup process of the projector is quite straightforward, and its Plug & Play facility serves as the main instrument. It comes with a decent amount of image correction facility which includes manual focus, 1.1x optical zoom and +/- 40-degree keystone correction. Connecting different external speakers won’t be an issue, and it is due to its HDMI, VGA, composite, audio, RS232 and USB Type B. It also treats you with an industry leading three years warranty, yet it only offers one-year lamp warranty. The clarity and color depth is excellent. It offers a massive image screen size range. The vividness level is optimum. It comes with all the required ports. Availability of three years warranty. The cooling fans make a lot of noise. The inbuilt speaker is useless. Planning to arrange a movie session in your backyard but skeptical about which model to buy? Then you should take a peek at ViewSonic PA503S. Epson VS250 has always been a plausible choice for many users who are looking to explore the fantasy of setting up their outdoor movie area. It is a well-packed model that offers a massive amount of features and functionalities at an incredible point. Despite its affordable price tag, the projector provides an excellent visual quality. Projection size between 30inches and 350inches. Throw ratio range between 1.45 and 1.96:1. Epson VS250 is a budget-friendly open-air projector that can mesmerize everyone with its mindboggling visual performance. It is geared with legendary 30chip 3LCD projection technology and Poly-silicon FT active matrix driving method to ensure that ensure you get the best out of this projector. It packs an 800 X 600 SVGA native resolution along with 3200 lumens of brightness, and it maintains vividness even in the presence of outside light interference. Every visual carries a razor-sharp clarity and massive black depth, and all the glory goes to its 15000:1 contrast ratio. The 1.07 billion color support also puts up a decent color reproduction in every frame. Epson VS250 can be outlined as a complete entertainment package, and its 2-watt mono inbuilt speaker serves as one example. An interesting feature of this model is that although it has XGA native resolution but you will get support up to SXGA+ resolution. Epson hasn’t compromised on this model, so it has supplied a 210-watt UHE lamp that offers up to 10000 hours of lamp life. As it is meant for the outdoor purpose, so the manufacturer included a colossal screen range array that lies between 30inches and 350inches. The throw ratio offered is also excellent, and it lies between 1.45:1 to 1.96:1. Epson VS250 offers a vast range of ports in the backside of the body cover, and it comprises HDMI, USB Type A and Type B, Composite video, D-Sub 15pin, and Audio. In addition, it offers USB plug ‘n play facilities which allow you to project any of your content from PC or Mac easily. It also provides you the option to connect your smartphone or any other device wirelessly, but for that, you need to buy a dongle. To make things convenient, Epson has also supplied a fair amount of tuning options like +/- 30-degree keystone correction, horizontal image correction, easy slide, and E-zoom. Epson VS250 will suit your purpose if you are slightly short on budget and want a decent visual performance from your projector. ViewSonic PJD5555W is not an ordinary projector as it might look from outside and it meticulously designed that can outclass many top grade models with its performance. It has a series of crucial features that allows the projector to offer top of the line visuals in the outdoor movie session. 1280 X 800 native resolution with support for 1600 X 1200. Projection size between 30inches and 300inches. 30bit color depth with 1.07 billion color support. 8000 hours of lamp life. ViewSonic PJD5555W is an exceptional piece of hardware that serves as a quintessential of true craftsmanship. The visual frame quality of this model is incredible, and all the credit goes to 1280 X 800 WXGA native resolution as well as the DLP projection system. Whether there is a minor or massive amount of ambient light in the backyard, you won’t have to worry because it offers 3300 lumens. To maintain top of the line black depth and color output, ViewSonic has embedded this model with 20000:1 contrast ratio and SuperColor technology. This SuperColor technology features a six-segment color wheel that with the help of dynamic lamp color offers huge color accuracy. With ViewSonic PJD5555W, you will get maximum 1600 X 1200 resolution support which can easily project 1080p visuals. Even though it is not a specialized outdoor projector, but it still offers a screen size range lying between 30inches and 300inches. The 1.5 to 1.65:1 throw ratio enables you to place the projector close to the screen thus allowing to free a lot of space for seating. You will also get a 2-watt internal speaker, but it would render useless in outdoor area so you will need powerful external speakers. This projector provides three aspect ratio which is 16:9, 4:3 and 16:10 which is the native. ViewSonic PJD5555W allows you to hook many devices and for that, you will get HDMI, Audio 3.5mm, D-Sub 15pin, Composite video, VGA, S-Video, RS232 and Mini USB. The manufacturer has supplied a 190-watt lamp in this model that promises to offer 8000 hours of lamp life in Dynamic Eco Mode. For tuning, you will get all necessary facilities like +/- 40-degree keystone correction, manual focus, and 1.1x Zoom. What sets this projector apart is its three years warranty on parts and one year warranty on the lamp. ViewSonic PJD5555W may not possess top of the line of features, but at the given price structure, it offers one of the best outdoor features in the market. Optoma is often considered as the market leader in the outdoor projector segment which is due to their prolific lineup, and it includes their famed HD27. It is an exclusively designed outdoor model that houses many crucial hardware, and they are blended in such a way that it won’t ever give you a chance to frown on its performance. 3200 ANIS Lumens with 22000:1 contrast ratio. Outdoor movie session has always been problematic as many projectors fail to bring out the quality they are designed to bring out. 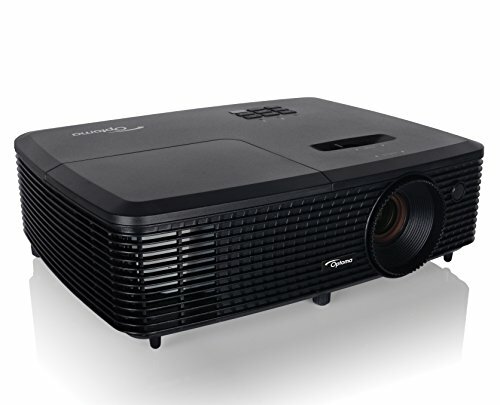 But Optoma HD27 is one those few projectors which treat its users with a rich and vibrant visual quality, and it is mainly due to its DLP display technology. It even bags 1920 X 1080 native resolution which aids to the razor-sharp visual quality produced by the projector. As it an outdoor model, so it grabs 3200 ANSI lumens that ensure the visuals won’t lose its optimum brightness even if it faces little amount of light pollution. With Optoma HD27, you won’t ever have to think about clarity and sharpness as it bags 25000:1 contrast which maintains the optimum quality. It comes with the leading Brilliant Color technology that reproduces almost 100% of REC.709 color gamut so you can expect eye-popping color output. To notch up your movie session to next level, Optoma has also given full 3D compatibility so you can easily enjoy 3D movie using the Blu-Ray player. To keep the true essence of the outdoor film session, it offers a whopping screen size range between 25inch and 305inch along with 1.48-1.62:1 throw ratio range. This model comes with a 10-watt inbuilt speaker which ooze a decent sound quality still, you will require more for outdoor. However, you might not be impressed by Optoma HD27’s lamp longevity as it only offers a maximum 8000hour of life in Dynamic Mode. The sturdy white of this projector houses many vital ports, and you will find HDMI, MHL, 3D VESA Sync, audio, and USB. Like other compact outdoor models, it also grabs 1.1x zoom and +/- 40-degree keystone correction which will assist you to get the best possible image quality. A significant advantage of using it in outdoor session is that it won’t disturb you with high fan noise as it keeps the noise level below 26dB. Lastly, you can even carry it in your backpack while traveling because it is compact and weighs only 5.2lbs. The clarity and color depth is quite good. It delivers an accurate 3D visual with good depth. It is quiet and doesn’t get overheated. It often faces little light leakage. The zoom lens doesn’t offer much flexibility. Optoma HD27 is a highly potent outdoor projector that will perfectly suit the need of a buyer who is looking for only quality, not any fancy gimmick. When you talk about less known gems in the projector market, then one name that invariably comes in everyone’s mind is Optoma X341. It carries a clean design from outside, but the inner section carries some pretty good hardware that allows the projector to achieve its goal. It is a multipurpose model that maintains performance consistency in both outdoor and indoor condition. Native 1024 X 768 XGA resolution. 3300 lumens of white and color brightness. Projection size: 28inches to 305inches. Throw ratio: 1.94 to 2.16:1. 10000hours of lamp life in Eco Mode. Optoma X341 is one of those outdoor models that not only amaze its users with the visual performance but also feature list. It carries a 1024 X 768 XGA native resolution that with the help of single 0.55″ DC3 DMD chip DLP technology creates a wonderful visual quality. To maintain vividness in outdoor movie session, it utilizes its 3300 lumens of brightness that works efficiently. The black depth in every frame is also commendable, and it is all due to 22000:1 contrast ratio. 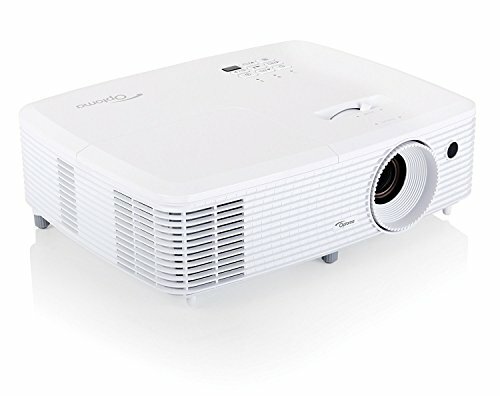 This best budget projector also pampers you with high color accuracy, and its sRGB display profile along with BrilliantColor technology ensures that fact. Optoma X341 is a fully 3D compatible model that can easily preview Full HD 3D contents from Blu-Ray player, PC, 3D TV broadcast system, etc. and that too without any lag. An interesting feature of this models is it’s any surface projection capability which depicts that you can project on the wall using wall color technology. You won’t have an issue with screen size during open-air setup as it will pamper you with a size range between 28inch and 305inches. Even though it has a vast screen size range, but it offers a projection distance ratio between 1.94:1 and 2.16:1. The longevity of Optoma X341’s 195-watt lamp is around 10000hours which can last more than five years with daily usage. With this model, you won’t miss out connecting any external devices as it offers ports like 1.4a HDMI, Composite video, USB, Audio, VGA, and RS232. It also provides various crucial functionalities like +/- 40-degree keystone correction, 115% offset, horizontal scan, etc. Despite all these incredible features but still lacks in aspect ratio option as you will only find 4:3 and 16:9 format. Optoma looks after the interest of customers quite well and its one year warranty with three-month lamp warrant proves that fact. Optoma X341 is an incredible value for money product that cradles you with numerous features and incredible performance that too without pinching your budget. 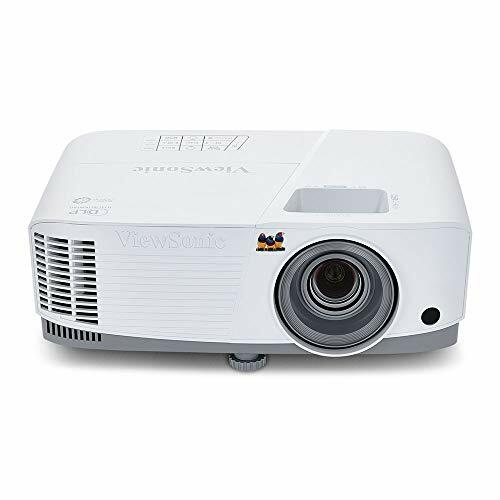 ViewSonic PA503W is a reasonably priced projector that has gained massive recognition due to its immaculate performance in outdoor areas. It comes in a light white box that is loaded with an immense number of hardware and facilities. It boasts some unique technologies which assist the projector to last longer than average budget models. 1280 X 800 WXGA native resolution. 3600 lumens of white and color brightness. Projection size: 30inches to 300inches. Projection distance: 3.28ft to 36.02ft. 15000 hours of lamp life cycle. ViewSonic PA503W is a compact projector that boasts an incredible performance chart, especially in open-air condition. To dazzle you with jaw-dropping visuals it utilizes WXGA 1280 X 800 native resolution and DLP projection system. Not only that, to offer top-notch vividness in visuals, the manufacturer has also included 3600 lumens. You won’t be able to complain about its clarity as well as black depth, and all the credit goes to its 22000:1 contrast ratio. It also houses SuperColor technology that has a six-segment color wheel and dynamic lamp control. These color technology along with 1.07billion color reproduction puts out a mind-blowing color depth. With ViewSonic PA503W, you won’t face any lag issue or rainbow artifacts while playing contents of Full HD. An unusual trait of this model is that offer 16ms input latency which would provide incredible gaming performance if you plan to play any game with your friend. With that being said, you will get a massive screen size range that lies between 30inches and 300inches which is appropriate for any outdoor setup. It even offers a throw distance between 3.28ft and 36.02ft which adequate for any outdoor space. However, its 2-watt internal speaker won’t give you much volume in the open-air area. The number of connectivity options you will with ViewSonic PA503W is quite extensive, and it includes the likes of HDMI, Composite video, Mini USB, Audio 3.5mm, VGA, RS232, etc. Many consumer hail this model for its longevity and all the credit goes to its 15000 hours of lamp life. This best small projector uses Super Eco feature to save 70% of the energy consumption. Once you get this model, you won’t have to think about servicing as it comes with three years warranty and one-year lamp warranty. ViewSonic PA503W offers a balance between price and performance which would serve all your requirement without compromising on quality. 1. Can Outdoor Projector Be Used During Day? Generally, it is recommended to use the projector after sunset as it will be able to offer an adequate visual quality even if there is ambient light. 2. Is It Possible To Connect Dish TV? You can easily connect any dish TV to your outdoor projector with the help of HDMI cable. 3. How Much Time The Whole Setup Takes? The whole setup process takes around 30minutes and one-hour maximum. 4. How To Stream Movies From Smartphone? With the help of mini HDMI or wireless dongle, you can easily stream movies from your smartphone.